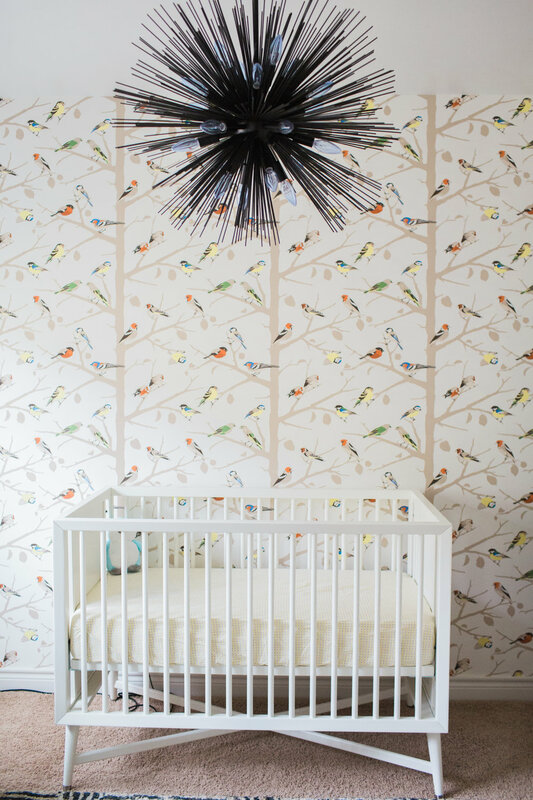 A bohemian nursery that's truly too cool for school. I was hired for this project by super sweet and excited first-time expecting parents. After a tour through their gorgeous home, I was led to the third floor nursery - which at the time was a Pepto Bismol pink storage room that they never touched. And can I say - this excited me....a completely blank slate! Not so inspiring, huh? 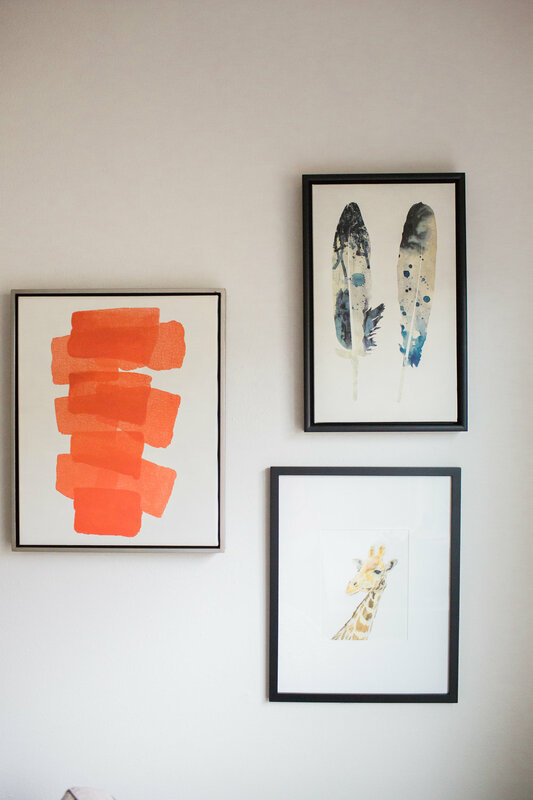 Now let's talk about the GOALS: My clients wanted a fresh, modern, and gender neutral nursery for little baby-to-be. They were also open to textiles and styling with a bohemian flair.......which really had me drooling because I knew a bohemian baby room would be EVERYTHING! As I worked through the design plan, I selected a fresh bright white for the wall color, streamlined furniture pieces with a mid-century flair, and cool mod pieces like a sleek floor lamp. The whole game changed though when I stumbled upon this quirky and whimsical bird wallpaper. That wallpaper was the perfect kid-friendly element that also isn't too goo-goo baby.... ya know? And to take things up another notch I proposed a chandelier that you would never expect to see in a nursery. I mean really, this thing looks like a black sea urchin. AND WE LOVED IT. Why would anyone want their nursery looking like everyone else's on the block? Original + inspiring > predictable + safe. Check out the insane transformation below - and leave me a comment with your favorite element in the space. I love hearing from you!